Scientists at the University of Stirling are calling for national guidelines to be drawn up to protect bats and birds from domestic wind turbine developments. 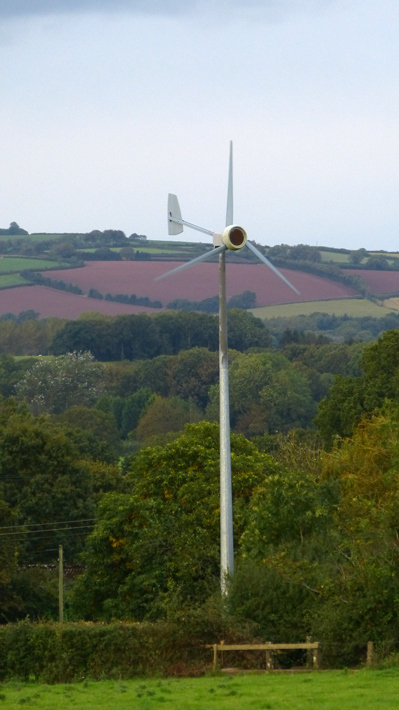 Research by the School of Natural Sciences has shown that there are wide variations in the planning process for installing micro-turbines, with some planning authorities requesting ecological surveys pre-construction as a matter of course and others very rarely. The results, say the authors, illustrate why policy makers, ecologists and industry need to collaborate more. Dr Kirsty Park said: “Micro-turbines are fast becoming a common sight within the UK and elsewhere in Europe and the United States. However, in spite of the rapid growth in numbers, there has been little study of their possible impact on wildlife, which could include collisions of birds and bats with the turbines, or disturbance effects. This means the evidence-base upon which to establish any guidance relating to siting is very limited. We wanted to look at how this affects the planning process for micro-turbines throughout the UK”. The study, funded by the Leverhulme Trust, involved surveys of local authority planners and turbine owners throughout the UK (excluding Northern Ireland). In the report the authors emphasise that further research on the effects of micro-turbines on wildlife is urgently required but that this needs to occur in parallel with the development of siting guidance. * Micro-turbines (defined under the Energy Act (2004) as units generating < 50kW electricity) are much smaller than their large wind farm counterparts (a maximum height of approximately 30m) and used mainly in domestic and farmland settings, either singly or in small groups. For further assistance contact Lesley Wilkinson in the University’s PR Office at pr@stir.ac.uk or 01786 466203.